What is The Bone Wellness Centre? 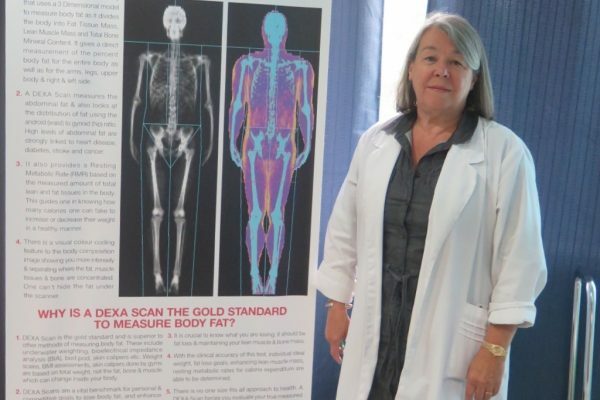 A unique health facility that uses state of the art DEXA technology to perform comprehensive total body composition studies to measure one's body fat & determine cardiovascular health risks & obesity. The centre also focuses on quality bone mineral density testing for the diagnosis of osteoporosis & low bone mass. What is our centre's mission? Our mission is to increase our patient’s overall quality of life with the early detection and patient awareness of disease. Using the science of DEXA, we help one obtain a benchmark for one's health, body, fitness & nutrition. Through clarity, measured results, accountability & motivation, we want our patients to be proactive in their journey of health & well-being.